Never-been-seen-before behavioral trends pulled from millions of unique users on Instagram and Snapchat through our platform. 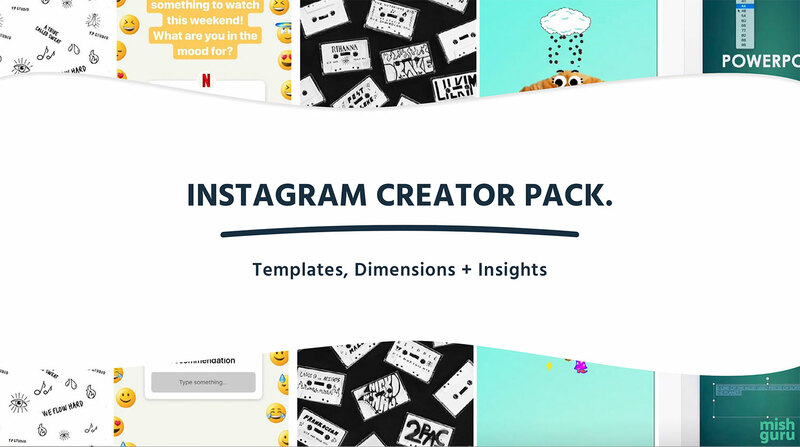 is the Instagram Creator Pack? Instagram Stories are, currently, the most prolific and effective channel that exists for brands to engage with Gen Z and Millennials. They can also be time-consuming to put together, and difficult to get right. We’ve put together this creator’s pack to help you out so you can be taking full advantage of the most effective tool in a marketer’s proverbial toolbelt right now. Need a Snapchat template instead?